Comics are great! I probably don't need to tell you that, but they are. I love comics, and I think there's a wealth of positive attributes that a lot of people beyond just existing comic book fans like. The trick is, of course, to get these great comics in front of people enough to catch their attention. There's been a great amount of time and energy spent bemoaning the state of the comic industry, and how digital comics -- both legal and pirated -- will be the death knell of comic shops. What are Marvel and DC doing for retailers? What is Diamond doing for the industry as a whole? How can comic book shops, who are trying to earn a living selling comics, compete with free comics you can download at your leisure? Plenty of that kind of questioning going around. The problem, however, is that those questions fundamentally address the absolutely wrong issues. Namely, that comic book shop owners -- if they have any sort of real business sense -- won't sell comic books. "Somebody get a straight-jacket! Sean's flipped his lid!" Say you want to read the adventures of Wolverine. Let's go so far as to say that you prefer a comic book version of Wolverine over a movie or TV show or video game or whatever. Let's go even further by saying that you specifically like the stories presented in Uncanny X-Men over every other Wolverine-related title. So you go to your local comic shop every month and pick up the latest issue of Uncanny X-Men. You could then argue by saying that you buy your comics at a comic book shop and I don't know what the hell I'm talking about. But here's the thing: you don't have to buy your copy of Uncanny X-Men from that shop. You might say that it's the only comic shop you can reasonably get to on a regular basis, but you don't have to buy it from ANY comic shop. A series like Uncanny can, and often is, stocked in grocery stores and magazine racks. Book stores carry the trade paperback versions a few months after the pamphlet version comes out. There are any number of places that offer mail order subscriptions services. Marvel has legal copies viewable online shortly after they're published. And we still haven't discussed downloading a pirated copy for free! But today, here in the 21st century, they're not the only game in town any longer. The economy has changed and other businesses have changed. The old comic shop selling point -- the only place you can get comics in town -- is no longer valid. That issue of Uncanny X-Men you just bought is not unique to your Local Comic Shop any more -- it's effectively a commodity. At some level, comic shop owners realized that, I think. So they branched out to selling other things that might reach beyond just comics, but might strike something of an overlap market. That's why so many sell role-playing games and collectible card games and action figures and baseball cards. But here, again, they run into the same issue: you can purchase those goods from other places as well. And at some level, comic shop owners seem to recognize that too. So they started throwing a card table or two in the back room, and renting it out for gaming sessions. Which was a great idea. They make a little money from the table rental fee, plus they have customers on site for a few hours who are more susceptible to impulse purchases of "just one more card pack" or whatever. A few store owners took the next logical step and started offering snacks and beverages. Some may have even made enough money on these ancillary sales that they've dropped the table rental fee to bring in that many more customers! Which is all well and good, but these store owners often (but not always!) fail to grasp the bigger picture here. "OK, smartass, what's this 'bigger picture'?" The bigger picture here is that this Local Comic Shop is not a place that sells comics. It's not a place that sells cards or miniatures or snacks. What they're selling is friendship and community and belonging. They're selling a location where people of a certain mindset (that vaguely defined class of superhero/fantasy/sci-fi/gaming geeks) hang out. Probably the most notable/visible example of a comic shop embracing that notion is James Sime's Isotope. You don't go to Isotope to buy comics; you go to Isotope for the couches and the toilet seat cover art and the cool discussions and the dogs and to be able to see if Sime really does wear his hair like that all the time. That you can buy comics there is -- from a marketing perspective -- peripheral to Isotope's purpose. Sime has made the store a unique destination in and of itself. You go for the experience. Now I certainly don't recommend that you try to duplicate what Sime has done; much of Isotope's appeal seems to stem directly from Sime's personality and would be, at best, difficult to emulate. But what sparked this whole rant was actually something I caught that Third Coast Comics was doing; in addition to a Dungeons & Dragons night and a Sci-Fi Bookclub night, they also have -- are you ready for this? -- a knitting night. Swing by on a Tuesday evening and talk comics while you and other folks knit Tom Baker scarves and Adam Baldwin hats and whatever else they think is cool. I don't know how they landed on a knitting night, but I suspect it was because one of the managers and at least one customer expressed some kind of interest in it and figure that others might have a similar interest. Maybe someone suggested it to them. Maybe they did some research, asking some of their customers if they'd be interested in attending a knitting night. However they came to the idea, it seems to work for them. Tuesday night -- traditionally one of the worst days to sell comics since it's JUST before all the new ones come out -- is now on some people's calendars to go to the comic book shop to knit. Sure, you could knit at home or on the bus or on your lunch hour at work or wherever. But knitting in a place where you can ALSO talk about comics with people who love comics and knitting makes Third Coast Comics an event location. That's something unique to them. (So far as I know, at any rate!) I suspect, too, that some people show up JUST to knit and have no interest in comics. Initially. What works for you might not work for the next guy. Maybe you have a classical music appreciation night. Maybe you provide studio space free of charge to a local artist. Maybe all of your employees dress up in gorilla costumes every day. The key, though, is to NOT be the Local Comic Shop. The key is to be someplace cool and different and engaging and unique that people want to visit even if they're not interested in buying comics. "A series like Uncanny can [be], and often is, stocked in grocery stores and magazine racks..."
At least as regards a hypothetical current issue of Uncanny X-Men, this isn't exactly new. When I started buying comics as a teenager, I could find comics in my little town in eastern Iowa at the drug store, the grocery store and walmart. Even on visits to the nearest city they were far more easily found at department stores, convenience stores, etc., than at the few specialty stores. After the 90s boom market went bust, the handwringing was about the fact that specialty comic stores WERE often the only place to get comics, as the old "hey kids, comics!" spinner racks became endangered. That's probably reversed itself to some extent, since, but we aren't exactly in new territory. Which doesn't invalidate all your points, but it would probably shore up your credentials in discussing the issue if you clarified that context. I thought about clarifying that more, but my post was already getting a bit long. Plus I kept slipping into "history of the DM" area, which runs tangential to my point. But, yeah, that comics are available in grocery stores isn't exactly new. It's just that they're in grocery stores now, where they might not have been 10 or 20 years ago when a lot of comic shops would've been opening their doors for the first time. You have a good point about alternate points-of-purchase being relatively new for many existing retailers. I'm sure a lot of shops have come and gone. Professional Jayne hat knitter (www.wearwithstyle.com) and amateur comic book reader here. 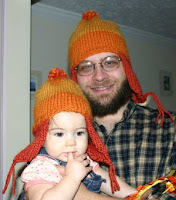 You would be amazed by how much crossover there is between geeks and knitters. It's one of those convergences that seems unlikely but is much more common than you'd think. It works right out because we can knit and watch our beloved Firefly DVDs at the same time, enjoying two hobbies at once. My local comics shop is Heroes Aren't Hard To Find. No knit night, but I do keep meaning to stop in for one of their discussion groups. "Heroes" does a good job of keeping things interesting beyond just stopping in to grab your pull bag.